In 2017 we launched Service Communities, which aimed to create a new way of working on end-to-end government services. Service Communities are networks of people with different skills and from different professions and organisations, who are united by the service areas they work on. We wanted to find out if Service Communities could be a way of helping different people work together on common user-centred end-to-end services. And we wanted to see if they could help to break down some of the barriers that might prevent this collaboration from happening. Here’s what we’ve achieved and what we’ve learned. We launched our Service Communities work with the Start a Business community, which has members from the Department for Business, Energy and Industrial Strategy (BEIS), Companies House and Food Standards Agency, among others. Since then we've launched 2 more communities: the Employ Someone community - which has members from 6 organisations including the Department for Work and Pensions, Her Majesty’s Revenue and Customs (HMRC) and Home Office - and the Import-Export community, which has members from 10 organisations including HMRC and the Arts Council. We’ve also seen the self-started Get Health Benefits community form and we’re currently looking at 2 more potential communities that we could set up. In total there are 236 members from more than 15 organisations, across the 4 communities. And they've held 23 workshops to bring the members together. When we set up Service Communities, we intended for them to provide a structure for people to work together across departmental and professional boundaries. We wanted them to be a forum where people could collaborate and share things like policy and legal issues, user research, the types of data they hold that relates to the service and the technology they use. We’ve seen this approach take hold across the communities. For example, in the Start a Business community, Companies House opened up research sessions with users to other community departments. Some departments and agencies have submitted questions and some have shadowed the sessions. And in the Employ Someone community it emerged that Home Office were struggling to recruit participants for research on a particular project - but BEIS community members were able to successfully help Home Office recruit. All the communities are now meeting regularly and we’re seeing lots more examples of community members working together productively. Thanks to this constructive collaboration, we’re now seeing a number of tangible outcomes from across the communities. 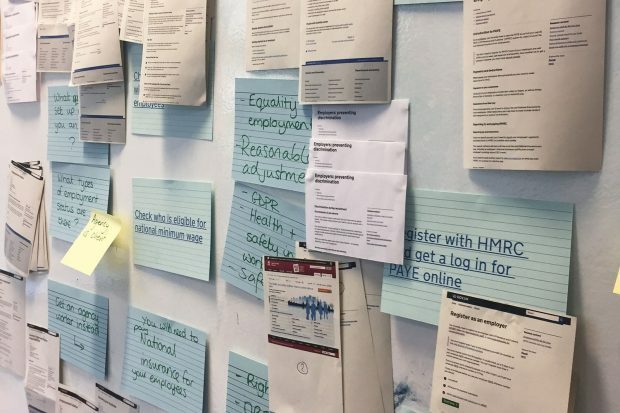 We’ve seen real potential and outcomes from the community members working together and we’ve seen benefits from linking the communities up with other Government Digital Service (GDS) teams like the step by step services team on GOV.UK. It has never been the intention of GDS to run these communities ourselves. We are merely creating the environment to let organisations, teams and people collaborate effectively with each other. Our experience so far has shown that there's a strong appetite for this collaboration and this way of working can lead to tangible benefits. We’ve learned a lot so far about how communities can form and grow, and we want to take this approach to other service areas. We'll also continue to iterate what GDS offers and how we work with communities so that we can best support them. And we want to make sure that Service Communities can help to make inclusive government services that work for all users. This means having an understanding of all the potential barriers and challenges. So we're exploring fully inclusive ways to research and design for all users and how this can work across communities. 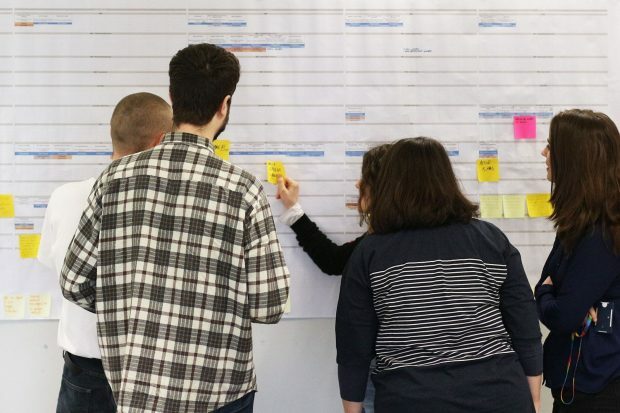 Our ultimate goal is the communities become a self-supporting, sustainable approach to designing user-focused end-to-end services in government. If you're interested in the work Service Communities are doing or think a community might be applicable to the service you are working on please get in touch. You can contact us on the #servicecommunities cross-government Slack channel or send us an email. As part of the Services Week activities, the services communities team will be holding an interactive session on 1 February at 10am. Find more information and register for the event. What’s happening in Services Week?